Handling paper for printmaking requires impeccable cleanliness. Smudges are easy to come by, especially in a studio that uses something as color-rich and sticky as slow-drying oil-based ink. 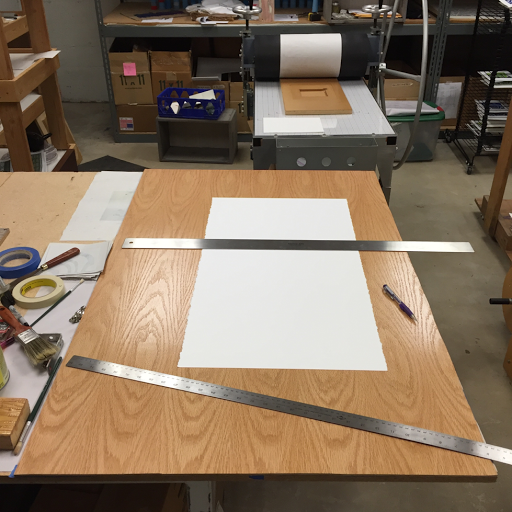 While the printmaking studio shares the space with a wood shop, a weaving studio, and a sewing studio, there is not enough space for a dedicated clean paper tearing table. Every table gets used for multiple purposes and nothing is as clean as a white sheet of paper. I learned the hard way that I cannot ever get the glass ink slab clean enough to tear paper on so I got creative. 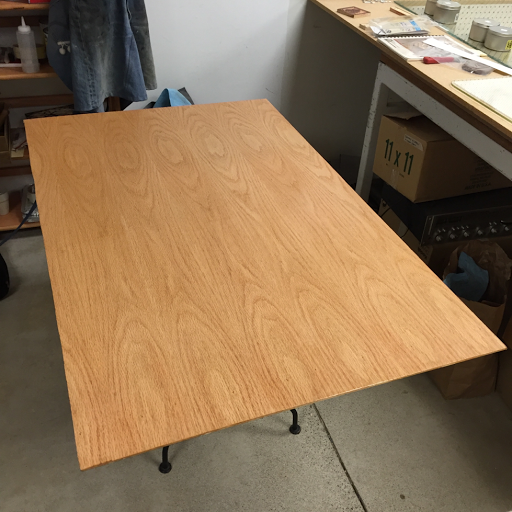 My answer is to shellac one small sheet of plywood so that it can be kept clean and then designate it as “spotless”. Shellac is impervious to oil-based and water-based cleaners. This plywood surface can be brought out for paper tearing operations and put away immediately to keep it clean. Few things are as frustrating as pulling a perfect print only to notice afterward that the paper had a prominent smudge. This system should keep the paper pristine until it’s ready to be printed on. Then, good cleanliness procedures around the printmaking process will keep it that way.